The Mazda CX-9 is a seven-passenger, full-size crossover SUV. It was redesigned for the 2016 model year. With the CX-9, Mazda has a sportier alternative to other three-row crossovers such as the Honda Pilot, Nissan Pathfinder, and Toyota Highlander—although we'd stop far short of calling it a sports car. The 2016 model year marked the debut of the second-generation CX-9. The latest CX-9 gets a new exterior design incorporating the brand's "Kodo" design language. 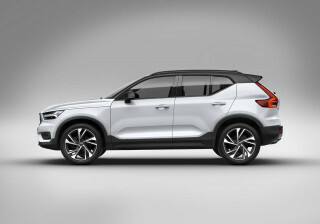 The vehicle is 1.2 inches shorter, but the wheelbase is 2.2 inches longer, providing short front and rear overhangs and more interior space. Inside, the design is more car-like, with a low-set version of the horizontal, shelf-like dash that’s been used in Mazda’s other contemporary models. There’s a very warm look to the cabin appointments, with supple nappa leather, Japanese rosewood, and available aluminum trim. Thinner seats offer more space, and Mazda provides two storage bins under the rearmost load floor. An additional 53 pounds of sound-deadening results in more interior isolation, but the 2016 CX-9 is up to 300 pounds lighter overall. For its redesign, the CX-9 trades its 3.7-liter V-6 for a turbocharged 2.5-liter inline-4. Paired with a 6-speed automatic transmission, it uses up to 17.4 psi of turbo boost to help make 250 horsepower and 310 pound-feet of torque. The platform offers front- and all-wheel drive, and the new all-wheel-drive system can send up to 50 percent of engine power to the rear wheels. New features include it comes Mazda's newest infotainment, with either a 7.0- or 8.0-inch display depending on the trim level, a 4.6-inch driver information screen, a color head-up display, white LED accent lighting up front, and an available 12-speaker Bose sound system. New safety features consist of adaptive cruise control, blind-spot monitors, active lane control, lane-departure warning, and forward-collision warnings with automatic emergency braking. The Mazda CX-9 was launched as a 2007 model and received a substantial update for 2013 to make its lines more similar to those of the compact CX-5 crossover. That significant 2013 refresh gave the CX-9 new front and rear styling, as well as new interior appointments, all influenced by the automaker's Kodo design language pioneered by the smaller CX-5. The 2013 CX-9 also brought significant upgrades to audio and navigation, as well as new active safety features such as frontal-collision warning, lane-departure warning, and automatic high beams. The CX-9 utilized V-6 power in a Mazda lineup that otherwise shifted completely to four cylinders. 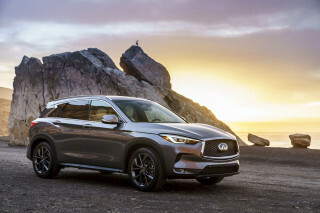 Its size and capabilities now neatly complement the CX-5, which won rave reviews for being both practical and fun to drive, and offered an alternative for families who need more space but don't want to give up driving pleasure. 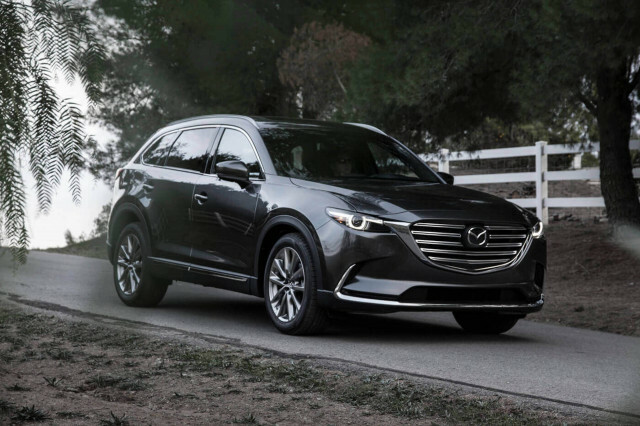 The underpinnings of the CX-9 were related to those of the Ford Edge and Lincoln MKX, but Mazda has produced a very different look and a far sportier driving feel than either of those models. The styling of the Mazda CX-9 is curvier, with more aggressive sheet metal and flared fenders, than the related Ford products. It maintains an overall look that makes no allusions to off-roading. Its strong, 273-hp, 3.7-liter V-6 feels more powerful than most engines in its class, and it's paired with a 6-speed automatic that does a great job on quick downshifts when needed. 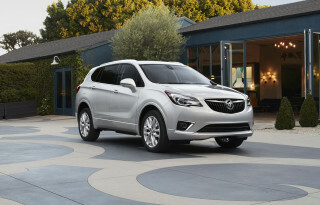 Buyers could opt for front- or all-wheel drive. Rated towing capacity is up to 3,500 pounds. Because of its relatively old powertrain, the CX-9 doesn't didn't that well when it comes to fuel economy. The front-drive model was rated at just 17 mpg city, 24 highway; with all-wheel drive, those figures dropped to 16/22 mpg, according to the EPA. 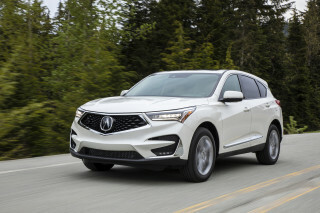 The engine is at least up to the task of moving the crossover around; that was even the case of 2007 models, which used a 263-hp, 3.5-liter V-6. The CX-9 handles very well for something of its size, striking a nice balance between driver control and passenger comfort. With three rows of seating and a third row that folds flat easily for cargo duty, the CX-9 has an especially handy layout for larger families and those who occasionally need some extra spots for the kids’ team members. The second and third rows can be folded flat together to open up 101 cubic feet of cargo space. First and second rows have plenty of room for adults, even remaining comfy on long trips, while the CX-9’s interior appointments, overall, do not disappoint. The CX-9 is well built and offers a strong list of standard safety items, as well as options like a rearview camera and blind-spot monitors, which are helpful for family vehicles of this size. It should be noted, however, that the CX-9 received a roof-strength score of "Marginal" from the IIHS. The NHTSA gave the CX-9 four of five stars for rollover. A loaded Mazda CX-9 Grand Touring carried a sticker price north of $40,000, which brought it into competition with several luxury-brand models, including entry-level German makes. But the Grand Touring comes with some tempting features, including HID headlights, nice leather seating, and rain-sensing wipers. Top options include a DVD entertainment system, a navigation system with real-time traffic, and a Bose Centerpoint surround-sound system. Mazda made some minor changes to options packaging for 2015. 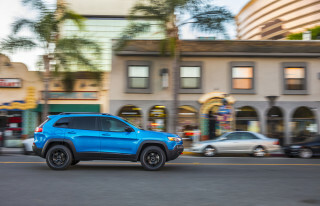 The base Sport model now includes power lumbar adjustment for the driver's seat, and the two available packages now come bundled with roof rails, crossbars, a cargo net, and a rear-bumper pad. One of best SUV with great handling, performance, safety and style. New CX9 a great SUV. Our 2016 C9 GT, Soul Red, Sand Leather, is one year old. We have put on 10,000 miles from new, running it in upstate New York with a mix of rural and city driving and commuting during the week. We also took... Our 2016 C9 GT, Soul Red, Sand Leather, is one year old. We have put on 10,000 miles from new, running it in upstate New York with a mix of rural and city driving and commuting during the week. We also took road trips of 200 and 500 miles with three adults and two small dogs on major interstates and secondary roads. We have managed an overall average 25 mpg, which is good for a large SUV. This car attracts attention with its style, color and flash. And we were not expecting the attention, but there aren't that many on the road yet so we expect this will continue. This car is fun to drive and gives a sense of security on the highway and rural roads. The engine is powerful without the high revving characteristics of other SUVs we tried. The car is sound isolated from the engine and the road, unexpectedly so, and the ride is comfortable, without jiggling, dipping or crashing it's suspension over rough pavement also. Our two drivers, the taller 6'1" easily was made comfortable at the wheel and as a passenger. Access in and out, front and rear is excellent for seniors. The rear seats recline and slide front and back for access to the third row seats. Those seats are best for young children and small dogs however. With third row folded the way-back room is spacious enough for four people's gear. A couple quirks about this car. First, the infotainment system takes some getting used to operate well. I like to skip around between XM, my audio player and FM channels. Selecting these could be made easier, more intuitive. Second on long trips the front seats lack sufficient adjustment and bottom cushion length to keep comfortable. More lift adjustment range is wanted and a more supportive bottom cushion. An after market cushion helps, but is a bother. The CX9 is a great SUV for those who appreciate a car that is fun to drive, quiet and classy. I know that many of you are looking for review from a buyer. So, here is the first one. I was tracking the delivery time of the dealerships and it finally arrived close buy. I wanted the Machine Gray Signature... I know that many of you are looking for review from a buyer. So, here is the first one. I was tracking the delivery time of the dealerships and it finally arrived close buy. I wanted the Machine Gray Signature and it was very difficult to find. Any way. Consider that I have driven the car for 3 days only, so I will update the review as time passes. I love all about this car. We were decided on the Honda Elite, but the interior and Info system were little, how to say... not by or taste. The interior of the Signature is impressive and modern. However, the shiny plates around the door buttons and gear knob are easy to scratch if you are not careful. To access the third row, the second row seats move easy enough (Elite exceeds in this one with one button push). But, there is plenty of space in the third row (I am 5.8). The space is more than the Highlander (Toyota, what is with the tiny seats back there? ), but less than the Pilot. Cargo with the third row up is practically the same for this and the Pilot. The infotainment system is top of the line, and I love that you can control it from the center control. I synced my phone at once and the quality of the call is amazing. The Sound system is perfect, but Mazda could have put some sound proofing on the doors to reduce the bass vibration. There is plenty of day light in the car. Even if the windows do not look as big. We felt little claustrophobic in the Ford Explorer for example. The navigation is modern based on Tom Tom, the navigation is clear and with a lot of tips and advance warnings. You can see navigation arrow on the HUD as well. HUD is one of the features we really like, especially the navigation and current speed part. The infotainment system could have some more features like changing colors of the map for example (they are kind of grayish), or Android Auto. The voice recognition system will make us learn proper American accent. Unlike Google Maps or my Note 5, voice commands for foreigners are hit and miss. That was the selling point of the car for us (maybe the interior too ). Driving this car is amazing. Do yourself a favor and do some research before the test drive. Do not press pedal to the metal on this car. It is not designed to work that way. If you nicely touch the pedal down and press firmly without jumping on it, the car just accelerates very fast. Also, you can feel the engine (I did not feel anything with the Pilot Elite). So if you like to be disconnected from the car and do not care to feel what is happening down there, this one will not be for you. When driving the CX-9 you feel connected with the car. Also, you do not sit so high like in a SUV (Explorer or Elite). You are actually in the car, the windows start more close to your shoulder level and feels like you are in a sports car. This makes it feel more close to the road making it more exiting to drive. When being advertised to the lower price than the main top trim cars for competitors like Highlander, Pilot and Explorer, consider this. There is no remote start (you can install after purchase as accessories), no ventilated seats, just heated. No rear entertainment system, no 110 outlet, lower towing capacity. Other than this no complains at all. We love the car and we would buy it again. I hope this does not change. Things to consider: Smaller engine, we have not tested fully loaded in the mountains curvy roads. New redesign, first year. New, engine technology, new AWD technology. No customer reviews yet. I hope this review will help people to make the right decision for them.